A piece in The Economist deals with the negative information coming out in Johnson & Johnson’s trial over ASR hip implants manufactured by its subsidiary, DePuy Orthopaedics. 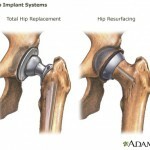 Studies have shown nearly half of the implants break down and need replacement within six years, as opposed to the minimum of 15 years that’s standard for artificial hip joints. In addition, the ASR implants have a tendency to shed toxic metal debris in patients’ bodies. The ASR implants were eventually recalled in 2010. But according to The Economist, internal e-mails show that the company was receiving complaints about them in 2005 and 2006. And a study that an engineer conducted for the company in 2007, which was never released to the public, explained how the ASR’s exaggerated angle could cause excessive wear. According to documents released as part of the trial, the company appeared more concerned with safeguarding its own interests than with protecting patients who received more than 93,000 of the devices, including 37,000 in the United States.